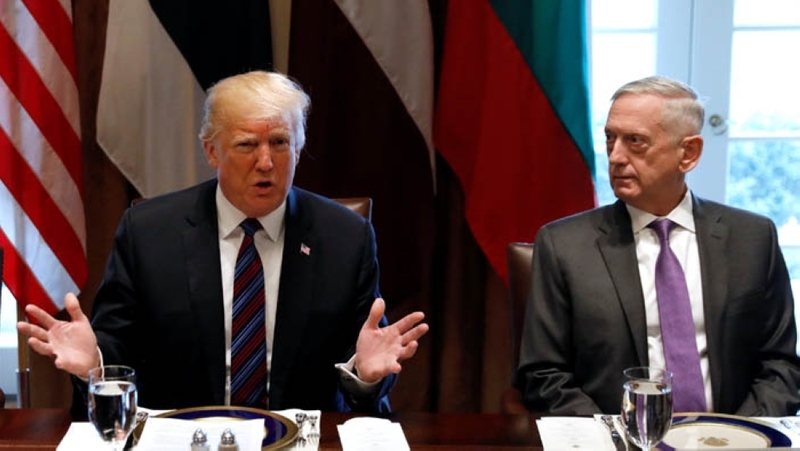 Donald Trump on Sunday announced he will replace Defense Secretary Jim Mattis with his deputy Patrick Shanahan, speeding up the Pentagon chief s planned exit days after he quit, citing key policy differences with the US president. Mattis, 68, had said he would leave at the end of February to allow a smooth transition for the next chief of the world s top military power, but Trump -- who was reportedly upset over media coverage of the stinging resignation letter submitted by the defense secretary -- moved up the timetable. "I am pleased to announce that our very talented Deputy Secretary of Defense, Patrick Shanahan, will assume the title of Acting Secretary of Defense starting January 1, 2019," the Republican leader tweeted. Trump initially praised Mattis in a tweet announcing his departure, saying that he was retiring "with distinction" and that "during Jim s tenure, tremendous progress has been made." But Trump changed tone two days later, writing on Twitter that he had given Mattis a "second chance" after he was "ingloriously" fired by president Barack Obama, and appearing to take aim at a line from the Pentagon chief s resignation letter about respecting allies. Mattis and others had strongly counseled the often-impulsive president against those moves -- and the decorated retired general did little to hide his disagreement with Trump. "Because you have the right to have a secretary of defense whose views are better aligned with yours," Mattis said in his resignation letter, "I believe it is right for me to step down from my position." Mattis s announced exit was soon followed by that of another top official, with Brett McGurk, the US envoy to the international coalition against the Islamic State jihadist group, moving up his departure from February to the end of the year. Trump took to Twitter to criticize McGurk, referring to him as a "grandstander" who was quitting just before his time was up. Until Trump finds a permanent defense leader, Shanahan will lead plans for US troops to leave Syria along with a significant drawdown in Afghanistan, both of which critics worry will leave conflict-racked regions at risk of continued and potentially heightened bloodshed. Mick Mulvaney, who will soon leave his post as White House budget director to serve as Trump s chief of staff, told ABC on Sunday Trump will not change his mind about the withdrawal, despite this week s protest resignations. "I think the president has told people from the very beginning that he doesn t want us to stay in Syria forever. You re seeing the end result now of two years worth of work."